The metal is by far the weakest part here. Yeah, that’s a pretty bad start for a review of a metal record. 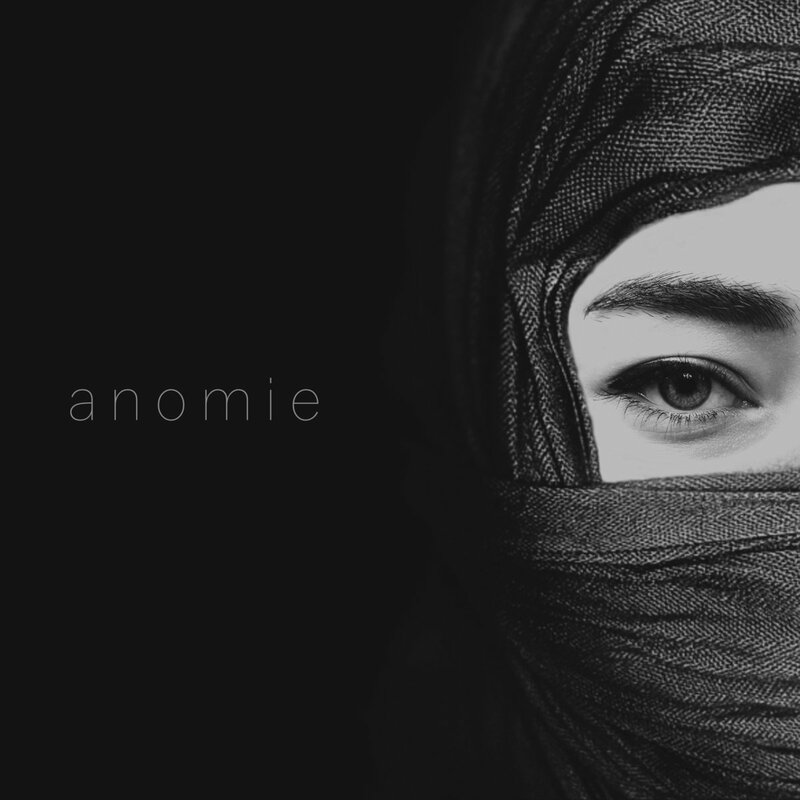 “Anomie,” the sixth full-length release in half as many years by the Azerbaijan-based Violet Cold, is an uninteresting slog through blackgaze tropes and a great argument for the idea that just because you record something, doesn’t mean you have to release it. Violet Cold’s overlong catalogue has material ranging from metal to house music and some godawful free jazz. Still, at least you can’t slam the one-man project for being one-dimensional. Violet Cold’s quality has a similarly wide range, though the music is rarely impressive enough to make up for the major flops in the project’s discography. “Anomie” may not be a major flop, but it’s definitely a mixed-bag. As a metal record, blackgaze or otherwise, it’s simply boring. This is very much the “wall of noise” kind of atmospheric black metal that intends to envelop the listener in an epic and emotional soundscape, despite the instrumental simplicity. But “Anomie” is neither epic or emotional: The riffs are creatively void and lack the rawness and passion required for gripping atmosphere and the vocals are a similarly monotonous and bland shriek. Song titles aside, you’d be hard-pressed to differentiate metal-dominated tracks such as “She Spoke of Her Devastation,” “My Journey to Your Space” and “Violet Girl” which is kind of an issue since they constitute half of the record. It’s never offensively bad, mind you. Repetition and a lack of creativity notwithstanding, dude’s shrieking is serviceable and doesn’t deter from the similarly mildly adequate instrumentation, for better or worse. Still, bare-minimum competency hardly equates to an enjoyable listen. Surprisingly, it’s the experimentation that carries “Anomie” where the metal fails. Though the black metal atmosphere falls flat, a peppering of synths and excellent sections of sustained ambience and avant-garde strangeness show hints of genuine greatness and are a creative and quality 180 from the record’s drab metal portions. This is made particularly clear on “Anomie’s” title track opener. The song’s intro is little more than four minutes of the inoffensive but relentlessly dull black metal clobbering that unfortunately defines the much of the record and offers little incentive to weather the its remaining 46-something minutes. But then, the metal gives way to a folksy and nature-inspired ambient interlude that almost singlehandedly redeems the lengthy nine-minute piece. Violet Cold’s ambient chops are deeply engrossing and sound remarkably sincere, which makes their omission from the majority of the album all the more disappointing. There are bits and pieces of similar experimentation on most of the tracks but they are rarely given the opportunity to breathe, instead serving as insufficient and infrequent supplements to the metallic onslaught of boredom. “Lovegaze,” where the black metalling takes a backseat to a handful of wonderful clean guitar melodies and shockingly uplifting atmosphere, is an exception to the rule and is easily the record’s strongest track. When it gets louder, the metal actually has a fair bit of bite and ends the song on a strikingly high note, but the experimentation is the true star of the show and its all-too-brief ambience at the track’s five-minute mark is one of the early musical highlights of 2017. If the rest of “Anomie” followed suit, this could be one of the year’s breakout releases. Unfortunately, the moments of greatness are few and far between, separated by a vast ocean of mediocre black metal. With that said, those moments of greatness still exist, and with much tighter songwriting — and perhaps a less ridiculous release schedule that actually filters out glorified blackened jam sessions — Violet Cold could become a bright spot in a subgenre in dire need of innovation.